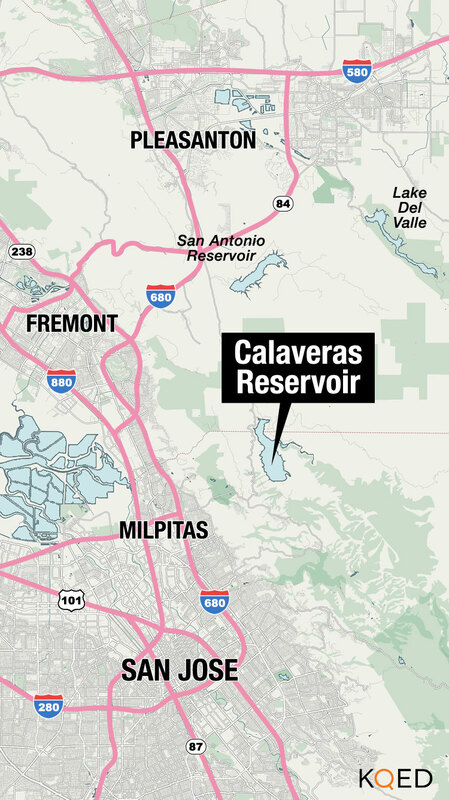 Residents in the city of Fremont face one less threat from a big earthquake today, with the opening of the new dam at the Calaveras Reservoir. Fifteen years ago, engineers realized the 93-year-old dam could fail in a major earthquake, sending a gush of water onto nearly a quarter-million people living downstream. 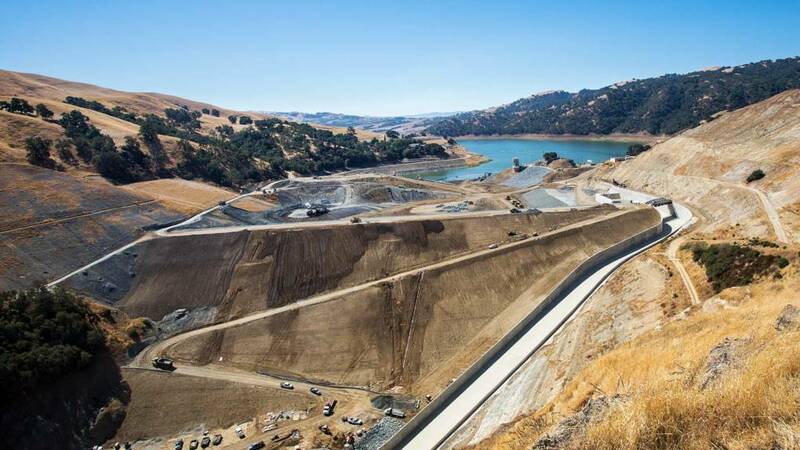 Today, the reservoir, which sits near the Santa Clara-Alameda county line, has a new, 220-foot-high dam that can withstand a 7.2 magnitude earthquake. For more on the new dam, KQED’s Brian Watt spoke with Paul Rogers, managing editor at KQED Science and environmental writer at Mercury News. Brian Watt: Can you tell us why this dam needed to be done? Paul Rogers: Yeah, you know, this reservoir, Calaveras Reservoir, it kind of is hidden. It sits back in the hills behind I-680 in a rural area near the Alameda-Santa Clara County line, and it's been there since 1925. About 15 years ago, state engineers realized it wasn't really up to modern earthquake standards and that if a big quake happened on the Calaveras Fault, which literally runs right through the middle of the reservoir, it could break the dam and send a 30-foot-high wall of water into downtown Fremont. Q: So when you decide to rebuild something like this, it strikes me as the kind of project that is a lot more involved than maybe you know at the outset. Absolutely. It's like buying an old house, and you start to go into the walls and you realize there's dry rot and all sorts of problems there. The San Francisco Public Utilities Commission, which owns this dam and the Hetch Hetchy System, they thought this project to replace the dam was going to be done three years ago. They thought it was going to cost $400 million. It's ended up being three years late and costing $800 million, and it wasn't really their fault. They found all of these ancient landslides and other just pieces of a geologic layer cake out there in the mountains when they started to dig away. Q: So we're talking about fossils? Paul Rogers: Well, there were all sorts of cool faults and things like that, which ended up being a problem for them, but there were also amazing fossils, like shark teeth from 50-foot-long megalodon sharks 20 million years ago that used to swim around here. They found 20 whale skulls. They found fossilized palm trees. All sorts of amazing stuff which is now up at the UC Berkeley Museum of Paleontology. Q: Can you put this dam rebuilding in the context of all that is happening in the San Francisco Bay Area to shore up the water supply system? Sure. After the 1989 Loma Prieta Earthquake, a lot of people were really worried that we had a pretty old water system in the Bay Area, and particularly the Hetch Hetchy System, which serves 2.7 million people in four counties, that a big quake like Loma Prieta could cut off water supply to large sections of the Bay Area for up to 60 days. So the San Francisco Public Utilities Commission went to the people in 2002. There was a vote. The voters agreed to triple their water bills, essentially, and do a $5 billion upgrade, that's billion with a B, of the water system all throughout the Bay Area. They've done almost all of that work. It's more than 80 projects. 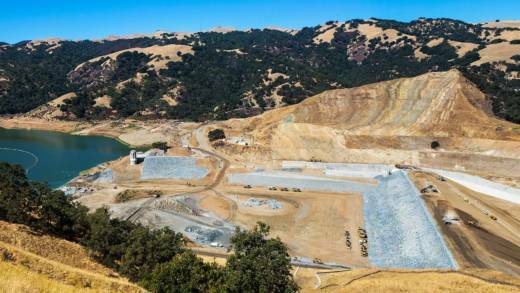 They built a tunnel under the Bay to move water, they've upgraded not wastewater, but regular drinking water treatment plants, all sorts of cool projects, and this Calaveras project is the biggest final piece of all that. Q: So this sounds a little bit like going to the dentist. You don't want to do it, it's expensive, but you kind of know you have to do it. You have to push though it. Paul Rogers: Absolutely. You have to suffer, you have to pay the bill, and in this case, it means we'll have a more reliable water supply for the next hundred years.